Glass Bird Baths Have Arrived! There are many ways besides flowers to add color to your garden. 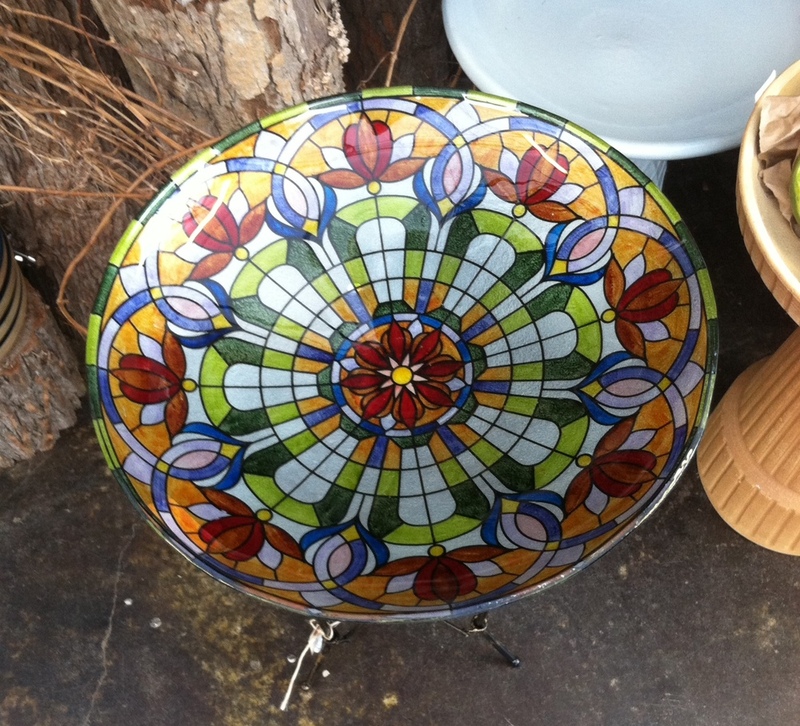 Garden Supply Co has just gotten in some lovely colored glass bird baths. As the leaves turn in the next couple months, these bird baths will stay as a vibrant pop of color in your outdoor space. Not only are they beautiful, but they are also functional. Bird watchers will love watching birds stop by for a refreshing dip in one of these interesting bird baths. This Tiffany inspired bird bath is sure to add elegance to your space along with an old-world touch. 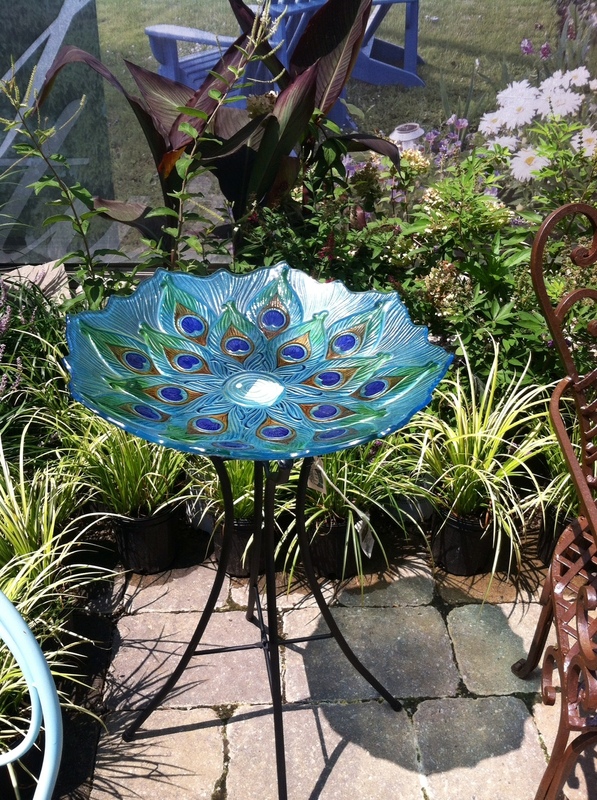 This peacock pattern is sure to make your garden feel exotic. Come by the store soon to check out these exciting additions to our inventory. They are sure to please.